The Republic of North Macedonia was rated overall Largely Compliant with the international standard on exchange of information on request (EOIR) for the tax transparency of relevant entities and arrangements and its EOI practice over the period from 1 July 2014 to 30 June 2017. 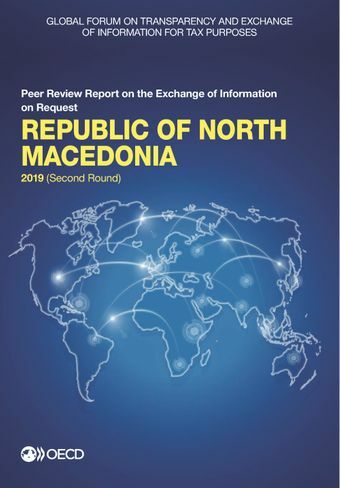 Since its first round review in 2014, North Macedonia further improved its exchange practices and answered the 31 requests received during the review period to the satisfaction of its partners. The Global Forum issued recommendations essentially on the implementation and supervision of the transparency framework for relevant entities and arrangements, mainly related to the recent introduction of measures towards the identification of their beneficial owners.